To see currently scheduled classes, check our calendar on the front page. TCSL has a lot more to offer than just great ranges to shoot at. We have a strong affiliation with Michigan United Conservation Clubs and the National Rifle Association. 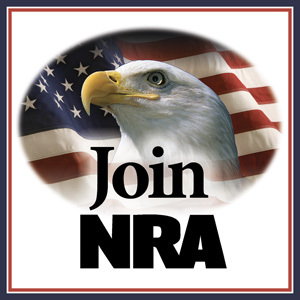 We offer more NRA-sanctioned firearm training courses than any other club in the area. We take pride in our place in the community, and we support youth education programs that introduce youngsters to the great outdoors and shooting sports. The NRA Basics of Pistol Shooting is a two-part course consisting of an e-learning portion (completed online, in your own timeframe) and a hands-on practical portion conducted at a range under the guidance and supervision of an NRA-Certified Instructor. The course is intended for all adults regardless of previous shooting experience or NRA affiliation. Some of the topics in the course include: gun safety rules, proper operation of revolvers and semi-automatic pistols, ammunition knowledge and selection, selecting and storing a pistol, the fundamentals of shooting, and pistol inspection and maintenance. When you enroll in the online course, you create a personal identification number (PIN). When you successfully complete the course, printing your certificate activates that PIN. The activated PIN allows you to register for the instructor-led training portion of the course here at TCSL. During the instructor-led-training portion of the course, an NRA-Certified Instructor will validate comprehension and application of gun safety rules; range protocol; proper handling; loading and unloading procedures; application of pistol shooting fundamentals; stable shooting positions; live fire; and a final shooting qualification. Teaches the basics for the safe use of a rifle in target shooting. This course includes classroom and range time learning to shoot rifles. Students learn the rules for safe gun handling, rifle parts and operation, ammunition, shooting fundamentals, range rules, shooting from the bench rest, prone, sitting, standing and kneeling positions, cleaning, and continued opportunities for skill development. Teaches the safe and proper use of a shotgun in shooting a moving target. Students learn rules for safe gun handling, shotgun parts and operation, shotgun shell components, shotgun shell malfunctions, shooting fundamentals, range rules, shooting at straight away and angled targets, cleaning, and continued opportunities for skill development. Includes a unique dry-fire range exercise using laser simulation and the student’s shotgun. Teaches the safe and efficient use of a handgun for protection of self and family, and provides information on the law-abiding individual’s right to self-defense. Students will learn basic defensive shooting skills, strategies for home safety and responding to a violent confrontation, firearms and the law, and how to choose a handgun for self-defense. Students should expect to fire approximately 100 rounds of ammunition. This is a prerequisite for obtaining a Michigan Concealed Pistol License. A comprehensive and intensive class designed to equip the defensive shooting candidate with the skills needed to survive serious adversity. The course teaches students the knowledge, skills, and attitude essential for avoiding dangerous confrontations and for the safe, effective, and responsible use of a concealed pistol for self-defense outside the home. The class is divided into two levels (basic and advanced). Level one is a nine-hour course and offers the essential knowledge and skills that must be mastered in order to carry, store, and use a firearm safely and effectively for personal protection outside the home. Upon completion of level one, students may choose to attend level two, which is an additional five hours of range training and teaches advanced shooting skills. After the classroom portion, students should expect to spend several hours on the range and shoot approximately 100 rounds of ammunition during level one. Level two involves five additional hours on the range and approximately 115 rounds of ammunition. The goal of the DNR recreational safety programs is to train knowledgeable, safe and responsible hunters. Hunter education in Michigan has taught thousands of people safe hunting techniques, firearm handling and hunter ethics. Hunter safety is required if you were born after January 1, 1960 and you want to purchase any Michigan hunting license, or you are planning an out-of-state hunting trip.